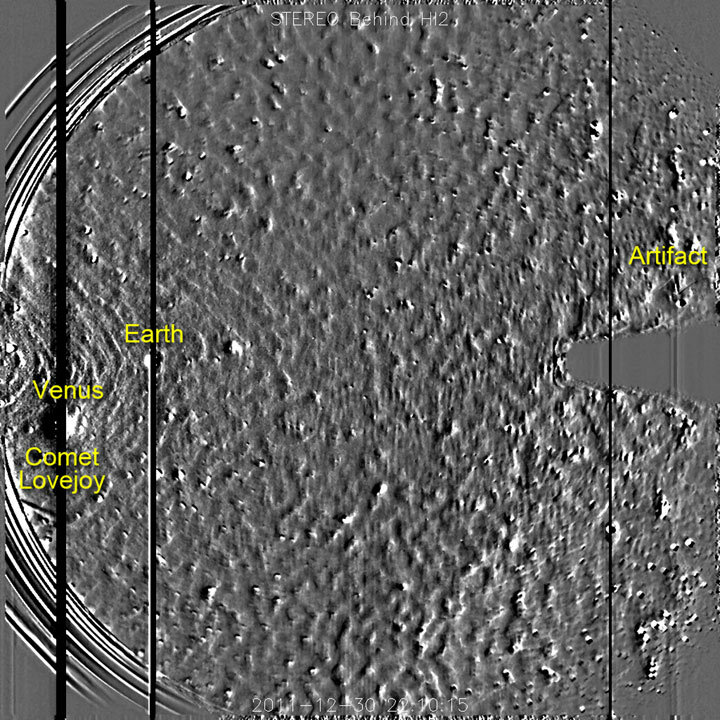 Some people have noticed a strange triangular or diamond-shape "object" entering the field-of-view of the HI2 telescope on STEREO Behind around December 26, 2011. You can see the feature in question in this movie moving from right-to-left, just above the trapezoidal occulter on the right side of the image, and more clearly in this close-up movie. What is this?